These are the level 9 gymnastics requirements with the new changes that go into effect on August 1, 2018. 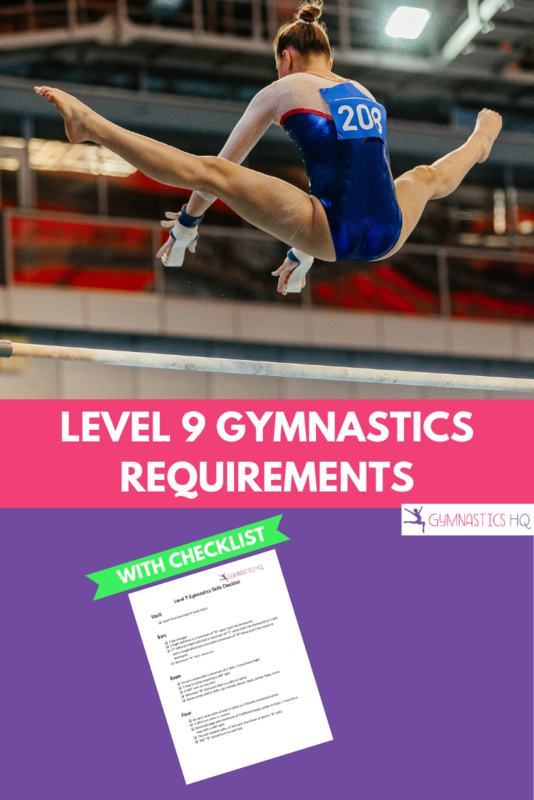 Level 9 is an optional level; learn more about the gymnastics levels here. 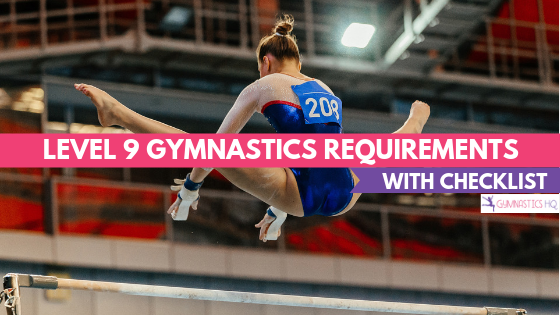 To compete in level 9 gymnastics a gymnast must be able to do most of the following skill requirements on each of the four events, have scored a 34 All-Around at level 8 and have reached her 8th birthday. If her level 9 routine does not have all the following requirements, deductions will be applied. In addition to the following requirements, level 9 routines must have 3 “A” valued skills, 4 “B” valued skills and 1 “C” valued skill. The last salto in the routine must be at least a “B” valued salto — an example would be the last salto being a back layout full. Once a gymnast has successfully scored a 34 All-Around at Level 9, she may move on to Level 10.